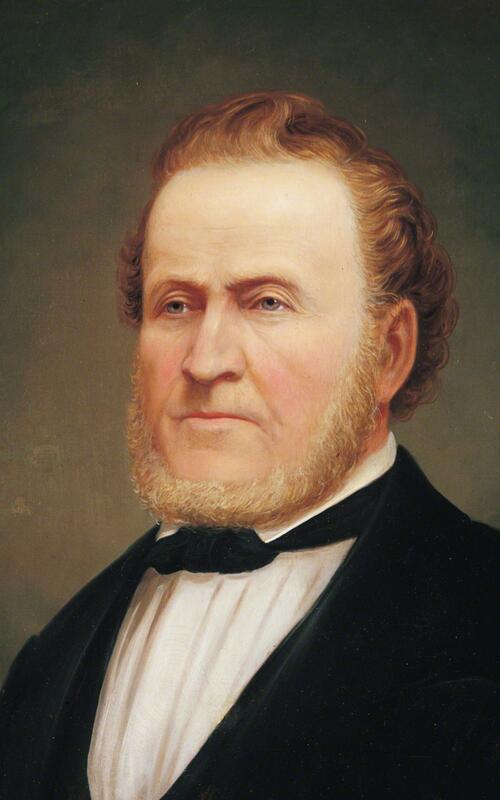 Brigham Young was also a renowned builder who oversaw construction work on various buildings, including two Latter-day Saint temples in Utah and the Tabernacle (formerly called Mormon Tabernacle) in Salt Lake City. [xxiii] The Tabernacle, today home to the famous The Tabernacle Choir at Temple Square, was constructed in its signature “turtle back” shape at Brigham Young’s request. [xxiv] Brigham instructed builders to construct the Tabernacle, which was built to hold religious services, without pillars or posts supporting the roof because he didn’t want these supports to interfere with the audience’s view. [xxv] The Tabernacle, which has since been remodeled and renovated, is still used today for gatherings and musical performances. Latter-day Saints past and present consider Brigham Young to be a prophet of God. To learn more about God’s prophets on the earth today, visit ChurchofJesusChrist.org. [i] See “Brigham Young: An American Moses,” history.lds.org/article/pioneer-story-brigham-young-an-american-moses. [ii] See Teachings of Presidents of the Church: Brigham Young , vii, 1. [iii] Eugene England, “Young Brigham,” New Era, Sept. 1977, 15–16. [iv] In England, “Young Brigham,” 16. [v] See Teachings: Brigham Young, vii. [vi] See England, “Young Brigham,” 17. [vii] See Encyclopedia of Mormonism (1992), “Young, Brigham,” 1602. [viii] See England, “Young Brigham,” 18. [ix] Encyclopedia of Mormonism, “Young, Brigham,” 1602. [x] Leonard J. Arrington and JoAnn Jolley, “The Faithful Young Family,” Ensign, Aug. 1980, 55. [xi] 'A Discourse,' Deseret News Weekly, Oct. 2, 1852, 96, in “Brigham Young: An American Moses,” history.lds.org/article/pioneer-story-brigham-young-an-american-moses. [xii] See Encyclopedia of Mormonism, “Young, Brigham,” 1602. [xiii] See Encyclopedia of Mormonism, “Young, Brigham,” 1602–3. [xiv] See “Brigham Young,” mormonnewsroom.org. [xv] See Encyclopedia of Mormonism, “Young, Brigham,” 1602, 1603, 1604. [xvi] See Presidents of the Church Student Manual (Church Educational System manual, 2013), 21. [xvii] See Doctrine and Covenants Student Manual, 2nd ed. (Church Education System manual, 2001), 315. [xviii] See “Great Salt Lake: Valley Emigration Square,” history.lds.org. [xix] See Encyclopedia of Mormonism, “Young, Brigham,” 1607. [xxi] See “Brigham Young,” mormonnewsroom.org. [xxii] See Encyclopedia of Mormonism, “Young, Brigham,” 1608. [xxiii] Watch the video “Ministry of Brigham Young: The Master Builder,” available on LDS.org. [xxiv] See “History of the Tabernacle,” mormonnewsroom.org. [xxv] See “The Salt Lake Tabernacle and Other Historic Civil Engineering Landmarks,” mormontabernaclechoir.org.